Vintage Snow Cone Maker - What's Goin' On In The Kitchen? 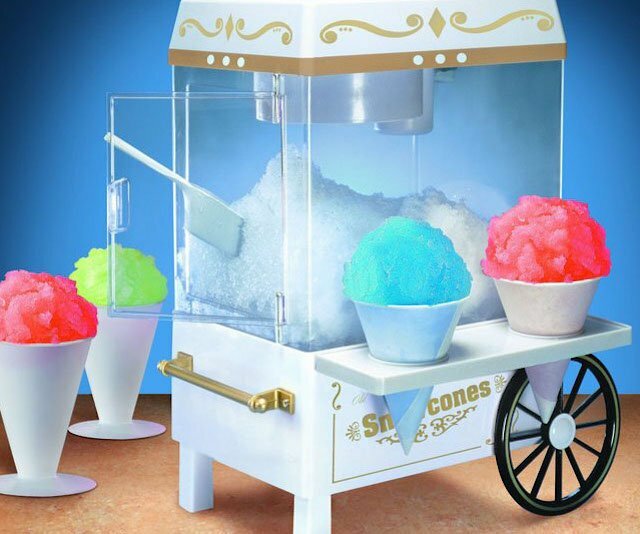 Take a trip down memory lane with this Vintage Snow Cone Maker made by Nostalgia. This olden day device will make approximately 20 snow cones when full. It comes complete with two 8.oz reusable cups and an ice scoop. Great for parties or just keeping the kids entertained, this retro snow cone maker is the perfect fit for any house. If you love this then you’ll enjoy checking out some of the other cool kitchen appliances I found.